As more people move into the mid-state, a plan to connect neighbors to transit in Donelson is hitting a speed bump. 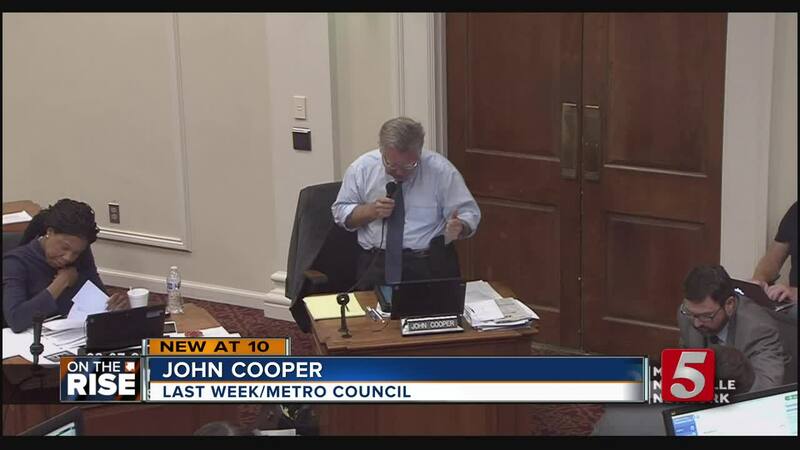 Metro Councilmembers delayed a vote on the Donelson Transit-Oriented Development plan last week -- a plan that could transform the area surrounding the Music City Star train station. One key concern is how part of the development, which would add apartments and other housing near the train station, would be paid for. "I do feel like I'm being painted with the wide brush of how TIF was used in the past," said Jeff Syracuse, the Metro Council member that represents Donelson. TIF -- or Tax Increment Financing -- has been criticized in the past: an MDHA fund first established to improve blighted city areas that was used instead to give tax breaks to corporations who choose to move downtown. It's also part of how the Donelson Transit Development will be funded, but Syracuse says this use of TIF money wouldn't be giving tax breaks to big corporations, it'd be used in part to create affordable housing in Donelseon. "Any of the criticisms of how TIF has been used in the past, that's not how we're doing it in Donelson, it's about setting the stage for how we grow sustainably around transit infrastructure," Syracuse said. Syracuse says he hopes a meeting next week can answer more questions council members have about the plan, before a scheduled vote on Tuesday.